As we have noted, the IRS targets supporters of limited government, calls it “horrible customer service,” and resists inquiry. The IRS also does a poor job combatting fraud, and sends out more than $3 billion to identity thieves. 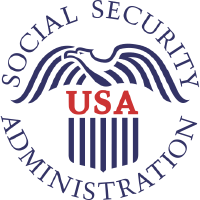 The Social Security Administration has paid out more than $30 million to at least 1,546 dead people, with some of the deceased receiving benefits for 20 years. But as this Washington Post report notes, federal government agencies do so much more than that. Mary Grice told the Post, “They gave me no notice, they can’t prove that I received any overpayment, and they use intimidation tactics, threatening to report this to the credit bureaus.” Hundreds of thousand of other Americans are also being targeted in this manner, and nobody seems to know who is responsible.